· You can link facebook, youtube, twitter, linkdin website to your web. · Quick Inquiry Form on Home page for easy contact. · you can update company latest news, it will display on home page. · customer can share any webpage to any social website via sharing toolbar!! · you can upload unlimited products on products page. · you can create and link the picture gallery and video gallery to your website. and technical skill required to update the website. There's no thinking twice. Get started today. Watch how to build your website before you start! If you have any problems with our templates/CMS, you can get it solved quickly with our personal email support. We guarantee that you get an answer within the next 12 hours / 7 days a week. 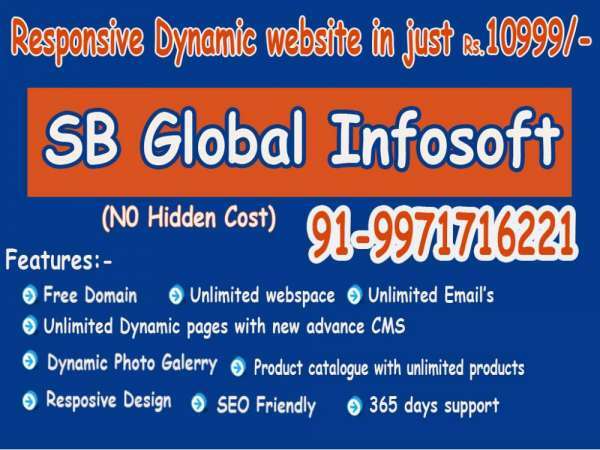 Classic Web Design is specialized dynamic website designing company in India, Dynamic web Designing, Dynamic website designing, Dynamic web development in India.